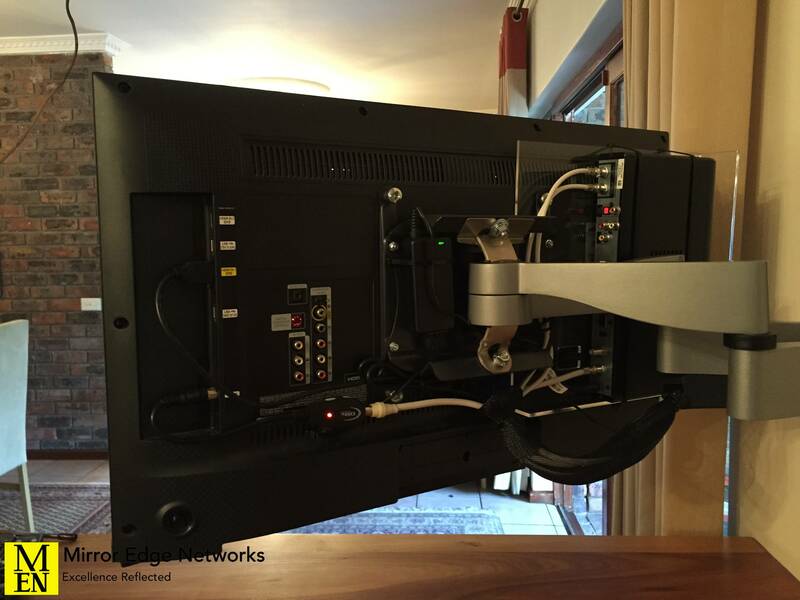 The upgrade of the audio video installation of one of our clients. The discussion with our client was to install a new television in the space between their lounge and kitchen. 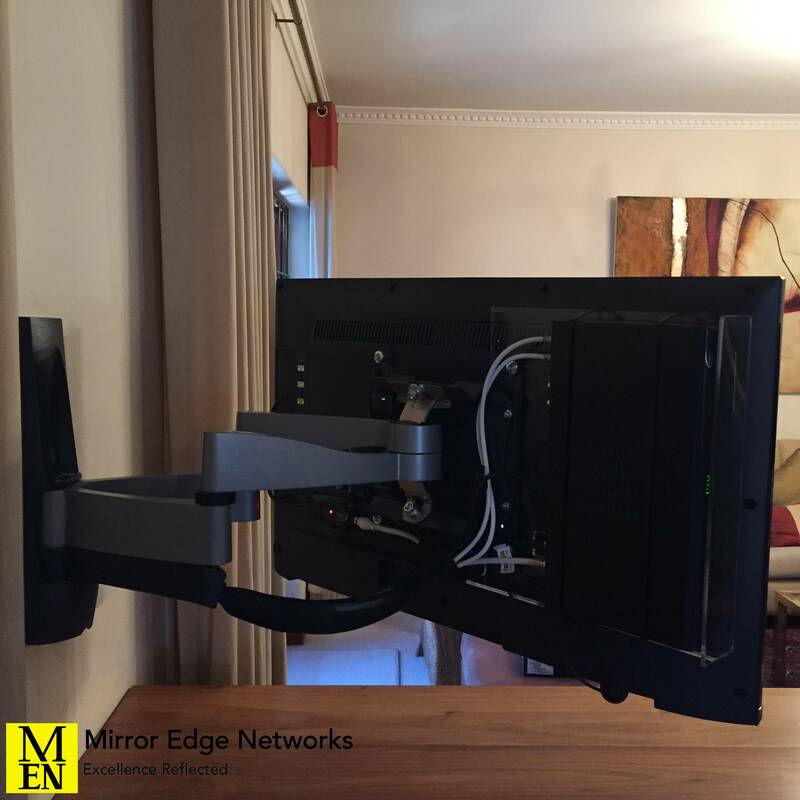 The television needed to be visible from both rooms, with a suitable high quality installation. 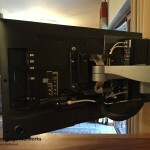 Samsung 32″ television installed between the curtains. 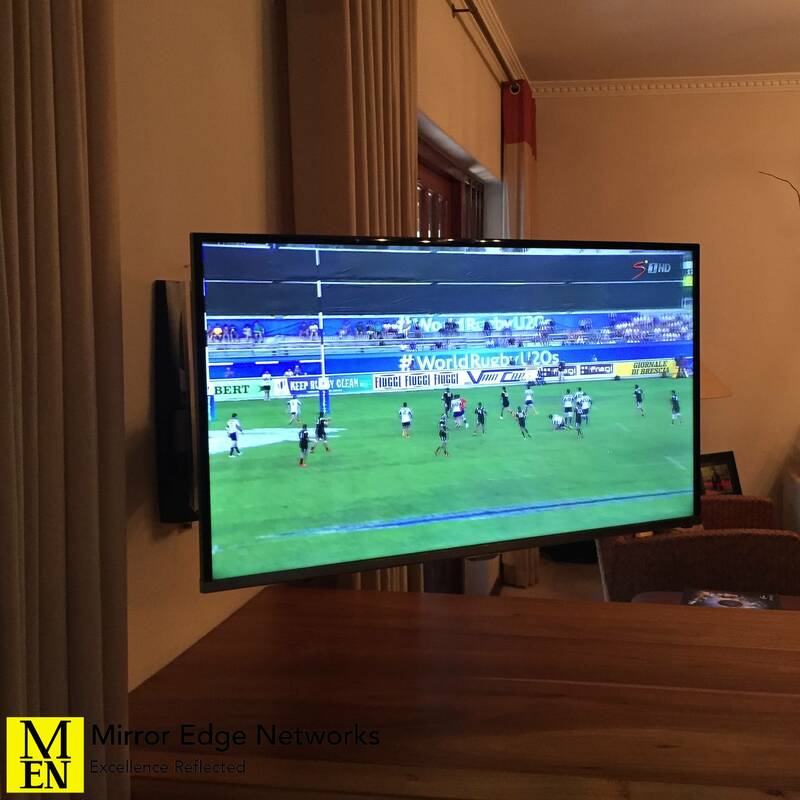 We decided that the best option for the installation would be to use a Vogels pull and rotate bracket, with a custom built bracket mounted to the rear of the television for the DSTV decoder. 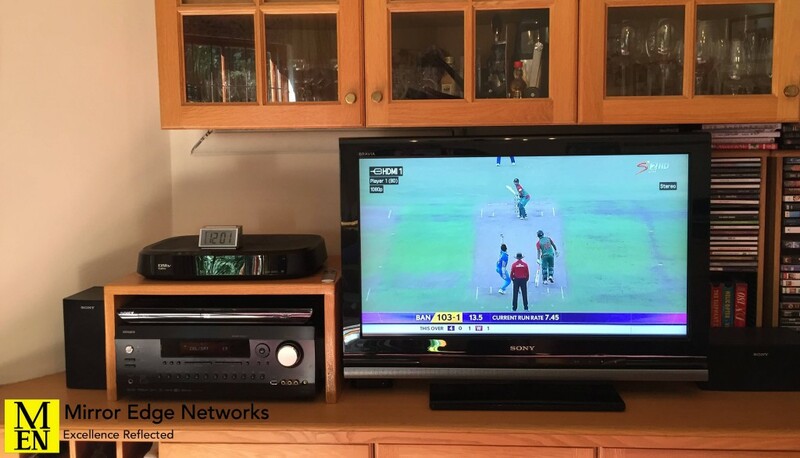 When the television is pulled away from the wall it is visible from both areas when turned for television viewing. The television as seen from the kitchen. While only a 32″ Samsung television, it is the perfect size for this room. View of the television from the lounge. The upgrade to the audio video system did not end there though. We upgraded the surround sound processor in the television room to an Integra 30.6 AVR, as well as replacing the old dual-view DSTV PVR with an Explora PVR. 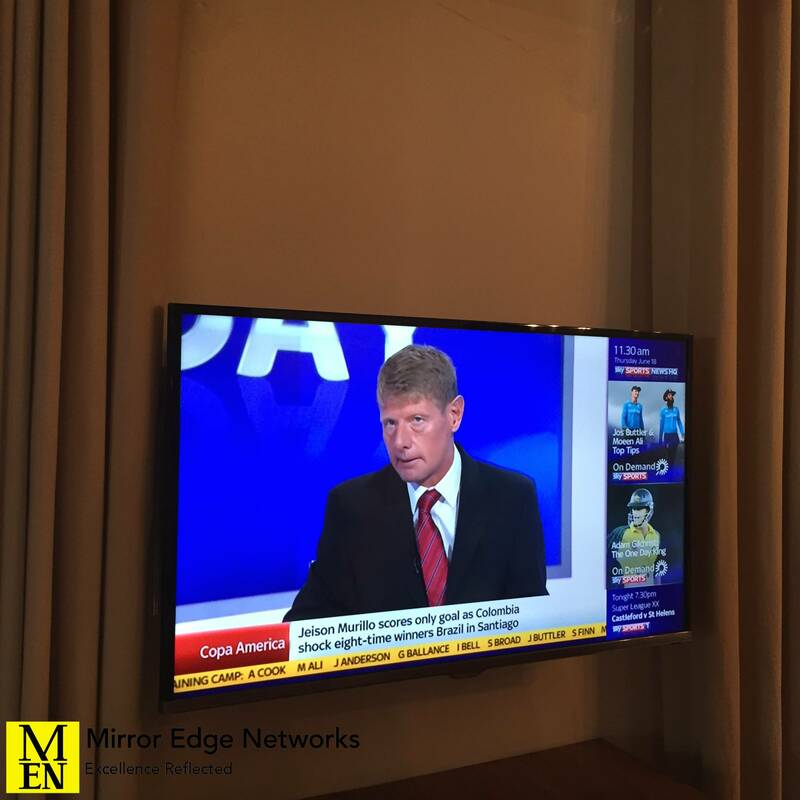 Lastly we added an Apple TV to the installation as we feel this is one of the best value for money additions to any audio video installation. Upgrading the existing DVD player to a Bluray player. Installing a wired network to the audio video equipment with a 5 port network switch. 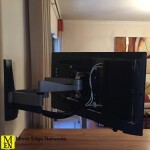 Removing all redundant television cabling. Tidying up all cabling associated with the installation. We spent a total of 15 hours working on this project to ensure that everything works the way the original audio video installers had intended it. 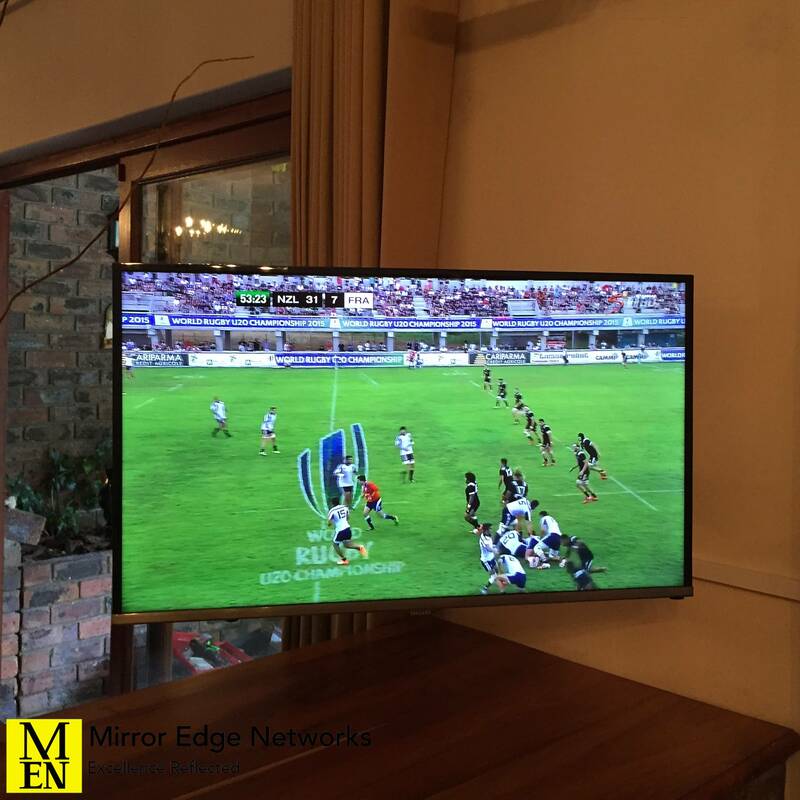 Our client is very happy with the outcome and is excited by what the high definition video sources now look like.